Are you bored with being a unique individual? Ready to become part of a faceless, nameless mass in subservient hard labor to an evil dictator? Then you're ready to become one of the disposable protectors of the Empire: A Stormtrooper! 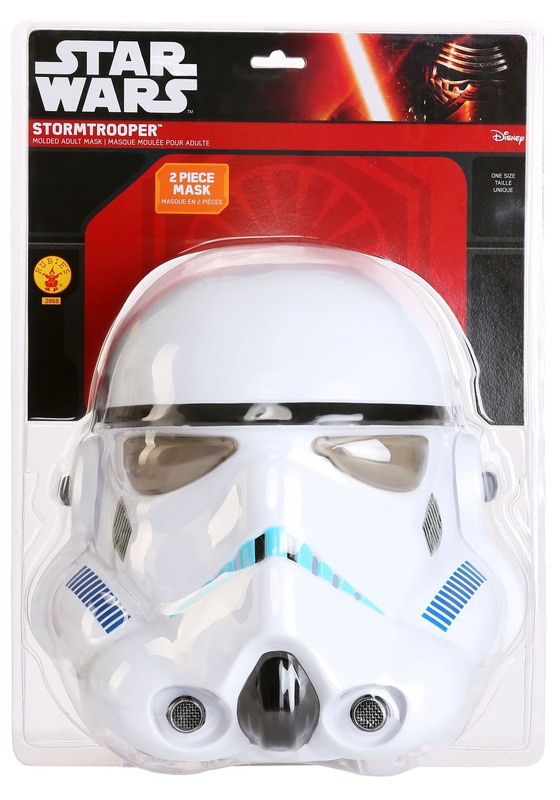 Get started with this officially licensed and highly detailed Stormtrooper helmet. Welcome to the family. 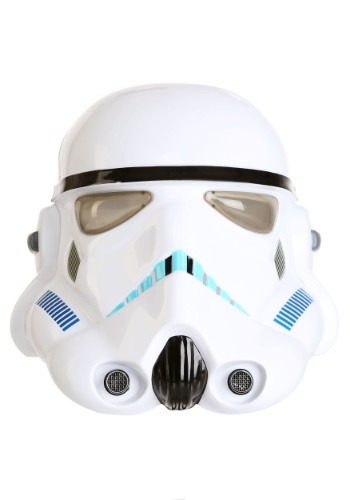 This Stormtrooper helmet will give you the classic Stormtrooper look for a great price. The helmet comes in two pieces, a front and back, that connect to make a full helmet. This allows for a great fit that is comfortable enough for wearing to any of your comic-con events or for Halloween. 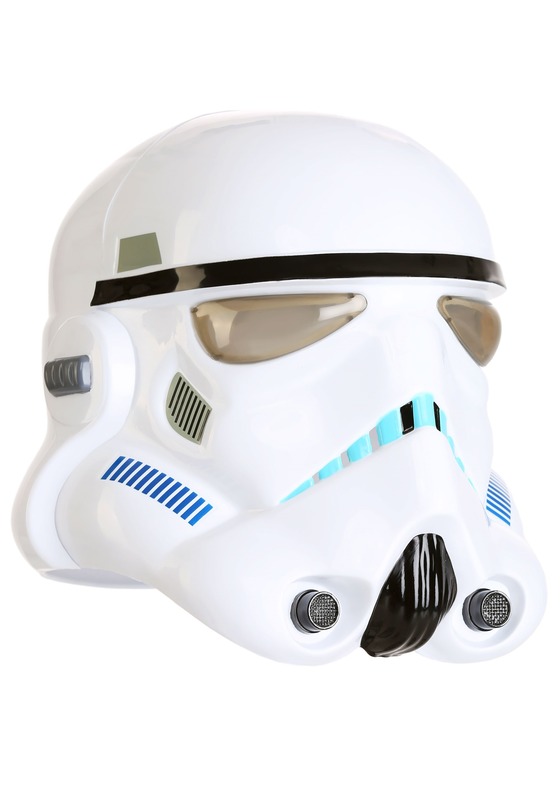 Add this Stormtrooper helmet to any Stormtrooper costume for a complete look that will be the envy of all of your friends and fellow Star Wars fans. It’s a great piece of the famous movie franchise for a low price that won’t bankrupt the Empire! 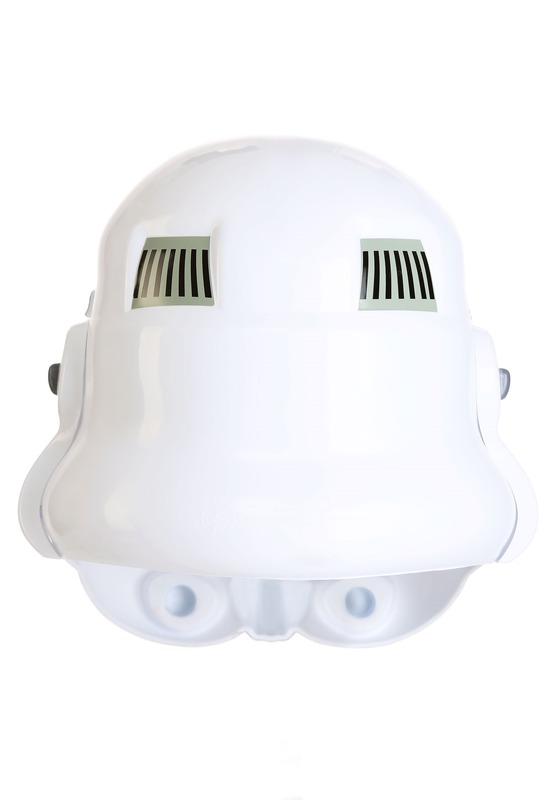 Bought this for my wife's Female Stormtrooper costume. It's a little different than what is shown on website, but we did get the updated helmet. Just couldn't believe how realistic looking it is. And, for the cost, great replacement for the one that comes with the costume. We are doing a couple of easy modifications: adding some foam to the inside, for a snugger fit and a strip of tape to the inside top. Top stays together, but not tight enough for us. Could've given a 4 Star rating, but really think it deserves a 5-Star rating.........even with the two modifications. My husband had alot of fun with his helmet. Thank you very much. Great helmet ,it's not the one shown on the web . Hard plastic ,4 pc helmet ... Very happy customer !